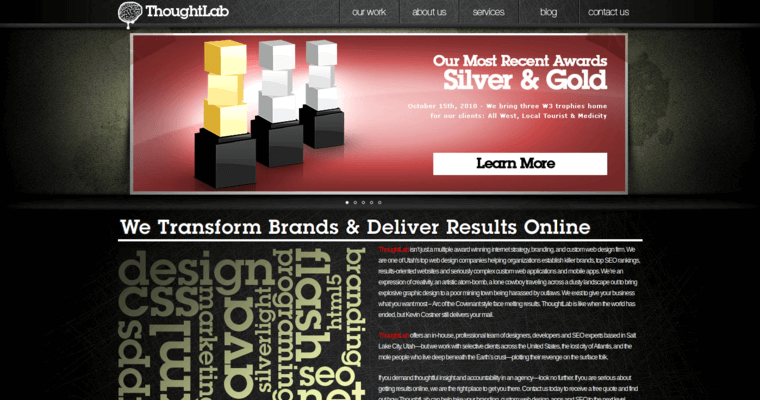 Thought Lab has defied all expectations to become a major force in the crowded Web design field. This firm has plenty of firepower at their disposal, and they know how to employ every weapon in their arsenal to benefit each client on an individual scale. This organization launched their offerings to the world from humble origins in Utah, and they have made a gigantic splash in the digital marketing industry. 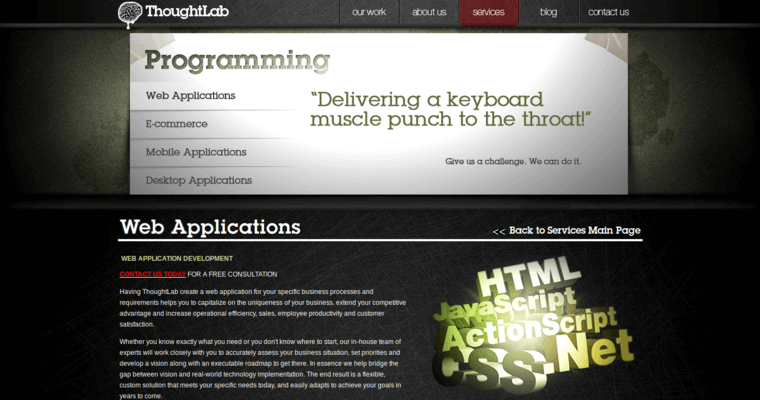 They have mastered the art of enticing programming to ensure users are intrigued by your mission statement. Their intricately crafted websites will be outfitted with high-tech promotional mechanisms to bring traffic in right away. 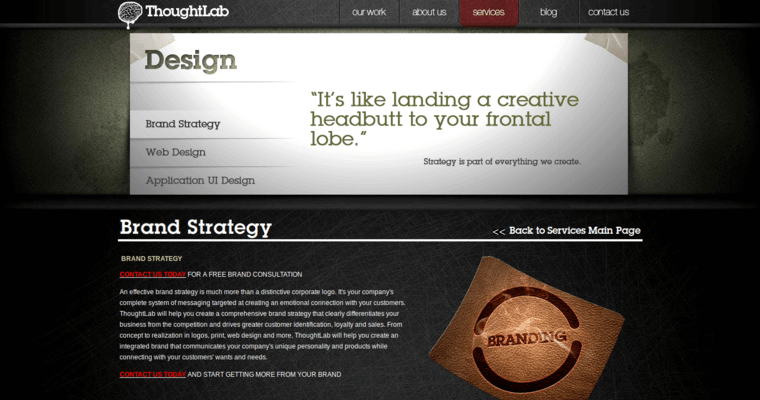 Each Thought Lab creation boasts ingenuity and originality. With hip branding strategies, these crafty workers know how to connect with the people who matter most. The way of modern advertising is virtual, and Thought Lab has already carved out a wonderfully advanced reputation in the field.